The video surveillance market has experienced substantial growth over the past decade, exceeding a double-digit rate of growth in most years. So what’s in store for 2014? New predictions from IHS Technology in their “Trends for 2014 – Video Surveillance Trends for the Year Ahead” hold that 2014 will be another year of strong growth in the video surveillance market. Revenue is expected to grow by almost $2 billion, from $14.1 billion in 2013 to $15.9 billion in 2014. Law enforcement will use crowdsourced video data to allow them to better respond to security threats. Law enforcement will also use live-video footage to follow incidents in progress. These areas will see increased emphasis due to the recent prevalence of school and public shootings. However they will also create challenges in the areas of data management and analysis. Thermal cameras are expected to experience big growth due to the development of new products and end-user markets. Power over Ethernet (POE) technology is also expected to become more widely adopted as it improves. 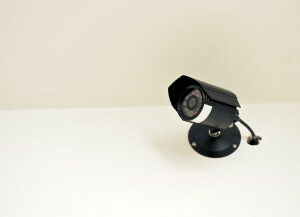 The audio components of security cameras may see significant development as well, as recent developments in video technology have become fairly standardized. This entry was posted on Thursday, January 30th, 2014 at 2:54 pm. Both comments and pings are currently closed.